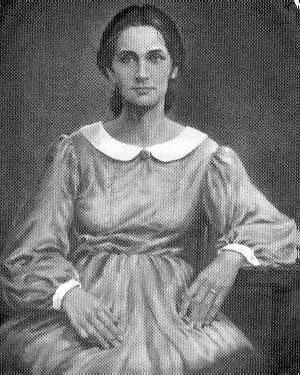 Nancy Hanks Lincoln, mother of Abraham Lincoln, was born in 1784, in Hampshire County, (West) Virginia. The birth occurred in a cabin along Mike's Run at the foot of New Creek Mountain in what is now Mineral County, West Virginia. Lincoln said of his mother, "God bless my mother; all that I am or ever hope to be I owe to her." She died in 1818.